Digital experience platforms (DXP) are software solutions designed to engage users by rapidly building websites, applications, and portals. These tools also contain systems for managing content, media, and other collateral. A digital experience platform helps to build and manage customer-facing touchpoints across a number of channels, providing development tools and prebuilt templates that allow companies to create functional applications with little development experience. These solutions also enable businesses to sync data and add functionality through the use of APIs. There are some similarities between digital experience platforms and web content management software and digital asset management software. However, DXPs do much more; in addition to content management and asset tracking, these platforms actually facilitate much of the development for a company’s final product, website, or portal. Digital Experience Platforms (DXP) reviews by real, verified users. Find unbiased ratings on user satisfaction, features, and price based on the most reviews available anywhere. More than 2,000 companies and their clients rely on Progress Sitefinity web content management system to engage, convert and retain customers across the entire customer lifecycle. Companies large and small look to Sitefinity to engage audiences with thoughtful, relevant content; personalized experiences that increase conversions; a consistent, responsive experience across all channels, including mobile; ready integration with backend systems; digital commerce; and the Digital Experience Cloud to track, analyze and shape every step of the customer journey. 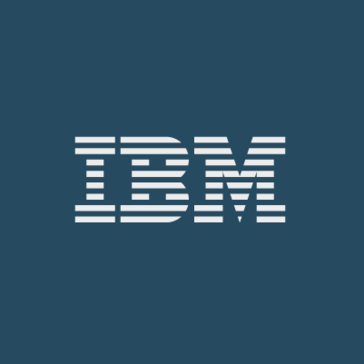 IBM Digital Experience Manager software empowers you to create, manage and deliver engaging omni-channel digital experiences to virtually all audiences. Offer an engaging customer experience with responsive content, targeted offers and consistent branding across channels (web, mobile web, and hybrid mobile/web applications). Provide outstanding service to your channel partners with integrated applications. Bring in powerful, flexible tools that allow business users to easily manage and create better content—and free IT staff to focus on other projects. SAP Fiori delivers a role-based, consumer-grade user experience across all lines of business, tasks, and devices. 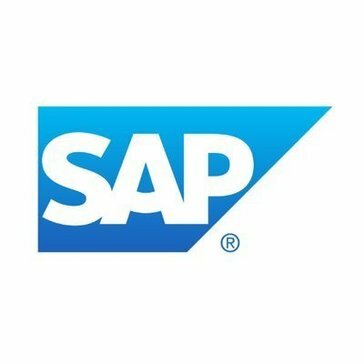 Use SAP Fiori apps, or take advantage of new solutions that natively incorporate the UX such as SAP S/4HANA, Ariba Mobile, and SAP Cloud for Customer. OutSystems is the #1 low-code platform for digital transformation - build mobile apps, web portals, mission critical systems and more. Crafted by engineers with an obsessive attention to detail, every aspect of our platform is designed to help you build and deliver better apps faster. Our award-winning CCM solution, Quadient ® Inspire, enables our customers to design, manage, and deliver high-volume and on-demand personalized communications, from one centralized platform - across the entire customer journey. Liferay Digital Experience Platform is an enterprise-grade platform that enables companies to create and connect personalized digital experiences across web, mobile, social, in store and other touchpoints. It provides the technical foundation (deep integration, security and modularity) for your digital business to orchestrate unique customer experiences, as well as business value features to support a deeper understanding of your customers. Jahia is an international software vendor that provides the most complete and integrated open-source Java Digital Experience Platform unifying CMS, Portal, Digital Marketing and Commerce. Kony Quantum (formerly AppPlatform) is the leading low-code platform that enables businesses to quickly build enterprise-grade applications with unbridled speed—without compromising on user experience, security, or innovation. From visual editing tools to streamlined deployment and updates, Kony Quantum brings the best of what low-code has to offer, so developers can work faster, smarter, and at scale. We know that digital capabilities can change or expand over time or during your application build. With Kony Quantum, you can feel confident knowing you’re solving for your needs today and well into the future. Kony DBX is the banking and financial services arm of Kony, Inc, and is a globally recognized leader in digital banking transformation. Kony DBX is Kony’s brand for an end-to-end banking solution which includes a purpose-built Digital Banking Platform and a suite of integrated applications. The Kony difference: -Go Fast: Build mobile and web applications faster using a simple, yet powerful visual development environment. Maximize developer productivity with interactive guides, backend integration connectors, and automated build, publish, and testing features. -Scale Easily: Never hit a wall as your needs grow for more advanced features, channels, apps, or users. Deliver engaging employee, partner and consumer applications on a unified low-code platform that can flex and scale with your business well into the future. -Innovate Freely: Experience the ease and speed of low-code with the power of digital. Deliver immersive experiences using intelligent chatbots, biometrics, augmented reality, and more. Access 100% of the native device features and drop into code when needed. -Experience Better: Kony Quantum’s native omni-channel support delivers better user experiences by taking full advantage of the underlying platform and device capabilities. Better experiences drive better results. Experience better with Kony Quantum. Brightspot™ is a digital experience platform that powers large-scale, highly dynamic and editorially rich experiences. Brightspot™ brings your teams together from day one, resulting in higher quality deployments, faster time to market and lower cost of ownership. Webvision Cloud is a customer experience management platform comprising of mobile-friendly website, CMS and an audience engagement database. Advantage CSP is an enterprise-class framework that powers the websites, mobile apps, and business applications of Fortune 500 companies, while also offering the flexibility to adapt to each organization's unique processes and workflows. Advantage CSP allows businesses to create site pages, digital content, images, videos and more. Its open-ended workflow architecture can be customized to give different system access levels to administrators, managers and users. The WYSIWYG editor allows users to edit templates directly within the application so that users can preview how their content will look. Additional features include search functionality, custom reporting, video banners, image gallery, search engine optimization and online registration management. The solution is available both on-premise and in the cloud. The cloud version is available for a monthly subscription while users can purchase the on-premise version for a flat fee. Backbase is a fast growing fintech software provider that empowers financial institutions to accelerate their digital transformation and effectively compete in a digital-first world. We are the creators of the Backbase Omni-Channel Banking Platform, a state-of-the-art digital banking software solution that unifies data and functionality from traditional core systems and new fintech players into a seamless digital customer experience. We give financials the speed and flexibility to create and manage seamless customer experiences across any device and deliver measurable business results. We believe that superior digital experiences are essential to stay relevant, and our software enables financials to rapidly grow their digital business. More than 100 large financials around the world have standardized on the Backbase platform to streamline their digital self-service and online sales operations across all digital touchpoints. Our customer base includes HSBC, ABN AMRO,CheBanca!, Credit Suisse, Fidelity, HDFC, Hiscox, ING, KeyBank, Legal & General, NBAD, OTP, PZU, PostFinance, Navy Federal CU and Westpac. Industry analysts Gartner, Forrester and Ovum recognize Backbase as an industry leader in terms of omni-channel banking platform capabilities and award the company high marks for its deep focus on customer experience management and unparalleled speed of implementation. Forrester named us a leader in the Forrester Wave for Omni-Channel Banking and Ovum nominates Backbase as the market leading provider of next-generation digital channel banking platforms. Centralpoint is a leading Digital Experience Platform used by hundreds of organizations in a myriad of verticals. It empowers organizations to easily author and manage content that lets each user access it uniquely via Single Sign On. Centralpoint's Integration with Active Directory, LDAP, oAuth, SAML (2.0), OpenID, oAuth (and others) allows you to serve ALL of your many users by their Role simultaneously . This means you can finally centralize all of your information to be accessed by everyone (Employees, Clients, Partner, Affiliate, etc.). Centralpoint brings all of your information into one place so each user can access it uniquely. Centralpoint streamlines your digital strategy by giving you one place to manage your information, which cascades down to the users who need it within your organization. More importantly, it tracks what each user does with your information; which yield rich Business Intelligence. CoreMedia provides WCM software that empowers business users to design context-driven online experiences. Curated helps you send email people look forward to receiving. The CX Manager is a cloud-based platform for the administration, management and support of all your existing PoS solutions. D'Media, our cloud based media platform, helps you in building and launching a world class and feature rich media portal. Duuzra is a content delivery platform which allows the user to easily create and transfer material for use in a variety of applications including sales, marketing and event management. Create dynamic and interactive content quickly and easily on Duuzra. Entando allows the development of UX-convergent applications as well as application modernization in terms of infrastructures, architectures, and processes. Evolving your software development helps your applications better align with today's business needs: efficiency, agility, and customer centricity. e-Spirit's Digital Experience Platform (DXP), offered through a SaaS or on-premises model, enables companies to engage customers and drive revenue with personalized, content rich digital experiences anytime, anywhere. With a powerful, native headless CMS at its core, the FirstSpirit DXP allows you to build a unique platform that will differentiate you from your competitors, and compel your users to action no matter where they are. This capability is enabled by AI-powered personalization, content as a service, and the interoperability to deliver these experiences to any channel, such as web, mobile, digital sign, or any IoT-related device. You no longer need to be confined to an all-in-one platform where you’re stuck with “good enough” solutions that don’t integrate; or stand-alone point solutions with complex integration scenarios. FunMobility's omni-channel experience publishing solution connects marketing, ad operations, distribution, and analytics with highly-engaging interactive campaigns. Kurtosys provides a unique Enterprise Content Management system for financial services firms. The Kurtosys platform enables marketing, sales, client service and operational departments to effectively manage and publish all of their financial data, documents, websites and content in a secure environment. OpenText Experience 16 helps maximize customer lifetime value with intelligent and connected experiences that optimize and personalize enterprise interactions at every point along the customer journey. Squiz Matrix is a market leading, Gartner & Ovum recognised, enterprise Web Experience Management (WEM) system, owned and developed by Squiz, which allows users to easily create and manage content for the web and other digital platforms without requiring any technical knowledge. It is also a highly powerful and flexible web application framework and integration engine that empowers front-end web developers to create rich and functional websites, intranets, portals, and apps without the need for any custom back-end software development. Squiz Matrix is completely browser based, meaning you can access and use it with any modern web browser, from anywhere, without the need to install additional software on your computer. Guarantees that your websites are reliable and accessible and with its open architecture you can easily integrate existing content or other data already in the CSM. All this to help you to continuously create relevant content and engage in personalized dialogue with your customer. Hi there! Can I help you find the best Digital Experience Platforms (DXP) solutions?